NOTE Customers outside the Eu pay the lower (Ex. Tax) prices! The WSPRlite is a special test transmitter that sends a signal to a Worldwide network of receiving stations. 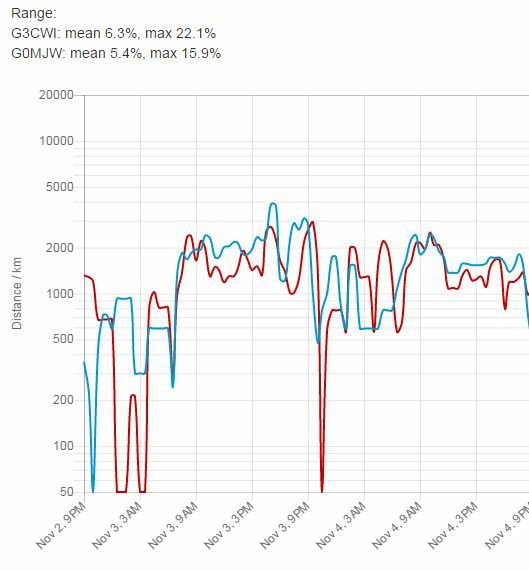 When used with our web-based DXplorer system, it's a powerful new way to evaluate antenna performance. Going way beyond antenna modelling or antenna analyzers, this unique system allows you to see how your antenna is performing in its actual location and in real-time! This type of analysis has never been possible before. ...all in a way that has never been possible before! Using a simple Windows or Android interface, you program the WSPRlite with your callsign, QTH locator. Once set up, the WSPRlite does not need the computer to operate. Just connect it to a USB power supply (e.g. mobile phone charger), press the "sync" button at the start of any even minute, and off it goes! WSPRlite will make regular transmissions that are automatically received by stations around the world. 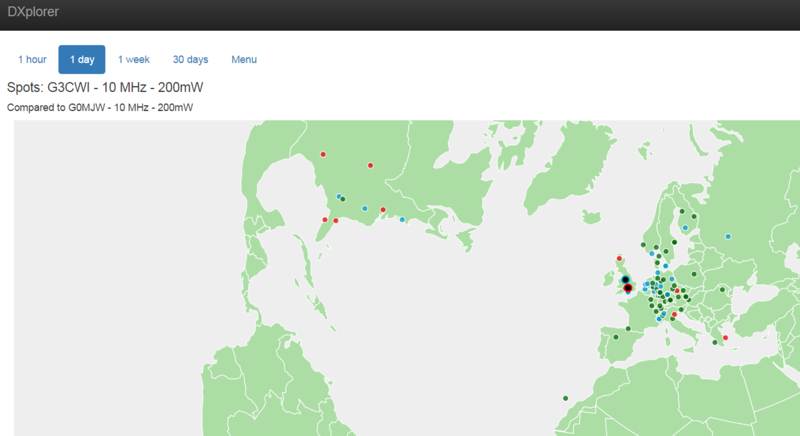 These stations send their reports to a central website where you can see where your signals are reaching within seconds. Even more fun is to leave your beacon running and monitors its performance using DXplorer on your smartphone or tablet. This is a great way to see how your station is doing when you are at work - or even on holiday! * Take a WSPRlite on your next business trip or cruise and see where it it being heard while you sit at the bar. What makes our product unique is the ability to compare antennas and location. We use the WSPR data to generate a special metric, DX10. We recalculate your DX10 range (km) every 2 minutes. DX10 is a great system performance indicator! The best HF system will give the longest DX10 ranges. Because you can compare the DX10 ranges for two station in real-time, you can see which one is the best - and by how much. Along with real-time DX10 graphs we calculate a mean and maximum DX10 score for each station - very handy if you make changes to your antennas to see what the changes actually do! For beam users we generate on-the-fly Great Circle maps that have colour-coded spot locations showing signal to noise ratios. If you are doing a comparison, you can easily see who got the furthest spots and who was strongest! WSPRlite is a self-contained propagation beacon transmitter. Once configured using a special Windows or Andriod app (third party LINUX and Mac support available at WSPRlite Facebook Group), WSPRlite only needs a USB power supply to operate (no need to tie up your computer). WSPRlite operates on 630**-160-80-60-40-30-20m. The unit contains filters for 30 m and 20 m operation. Operation on other bands requires band-specific lowpass filters. 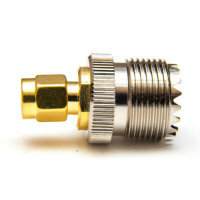 We can supply a kit with filters for 160-80-40m . WSPRlite has accurate digital power control over a 16 dB range to facilitate precise measurements of antenna performance differences. WSPRlite is a low power device at only 200 mW but because of the clever encoding of the WSPR signal it has the DX capability of a 1 KW SSB transmitter (80 W CW). The DXplorer website is designed to operate with WSPRlite. DXplorer provides you with antenna performance information and propagation information in a new easy-to-use format. DXplorer has been optimised for use on mobile devices. Use of DXplorer.net is free for any WSPR user but WSPRlite users access Premium facilities including detailed antenna comparisons. New to WSPRlite and DXplorer? Why not join the WSPRlite Facebook Community to see what people are doing with theirs? It's a good place to get user-community support, share tips and experience. Note that SOTABEAMS does not monitor this group; always contact us direct for support. 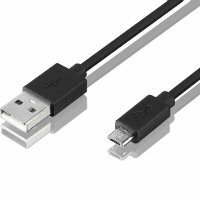 USB current: 150 mA maximum (5 Volts). DXplorer uses data freely provided by WSPRnet.org - our thanks to them. We also thank the hundreds of people who operate WSPR receivers around the World - you make it all possible! Our provision of DXplorer relies on free access to data from WSPRnet.org. DXplorer.net is provided “as is”. It is not a guaranteed service. It relies on access to third-party data over which we have no control. *Check local regulations regarding unattended beacons. DXplorer, WSPRlite and DX10 are Trademarks of ECS Ltd t/a SOTABEAMS. (C) ECS Ltd 2016. All rights reserved. Setup demonstration of the WSPRLITE. 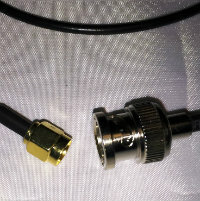 Milliwatt WSPR: How low can you go? Whilst I think the product does an amazing job in testing the performance of an antenna or even propagation conditions I can't help but comment on the quality control or maybe the choice of USB port. I have had 2 USB port failures on 2 devices. Both were replaced by Richard with no hassle but it was still an inconvenience to both of us. Maybe a usb-c port would be more rugged. I did crimp down there USB port to tighten it up and have had no more failures to date. Worked straight out of the box. Really useful to not occupy a computer and radio - so can be used anywhere there's 5vdc and an antenna. 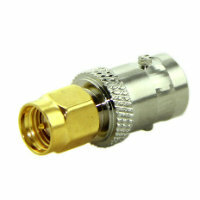 Great for testing out different antenna configurations, very neat and compact. Excellent platform for rapidly and efficiently testing the perfomance and propagation charecteriatics of antennas. Very simple to use and very good value given what it does. Very good service, and very clever little device. Great results already and lots more to come hopefully. Fantastic tool to test antennas!!!! This is an Excellent piece of equipment, it can't be really easier to set it up and be on the air in a very short time. I was really amazed what a 200 mW on WSPR can do.. My location is in Jeddah - Saudi Arabia and I am the first WSPR station in the Arab world. Well done SOTABEAMS. I only wish if something can be done to extend the 30 days limit. Easy to set up both from PC and Android. Amazing distances covered even with 10 mW!